Second of seven children of ABS-CBN founder and former Chairman Eugenio Lopez Jr. and Conchita La’o, Gina, like her father is a visionary. She is quick to see potential and providentially, possesses an innate gift of powerful persuasion. Her many projects like Bantay Bata, BayaniJuan and Educational Television have been described as unprecedented and pioneering. Despite the lack of benchmark projects when she assumed leadership of the organization in 1994, it was the clarity of her vision, sincerity and genuineness that drew people to support her and her advocacies. According to GL, “When our intentions are aligned with truth and one comes from a space of genuine caring and desire to improve the lives of others, the right people and resources naturally gravitate to make the seemingly impossible happen.” She is the brainchild of several other ALKFI programs - Bantay Kalikasan, Sagip Kapamilya , Kapit Bisig Para sa Ilog Pasig and Programa Genio. Having created the country’s first helpline for child abuse reports (Bantay Bata 163), reforested a 2,700 hectare denuded forest (La Mesa Nature Reserve) and cleaned the filthiest tributaries of the Pasig River, Gina Lopez has clearly established her credibility in terms of making the impossible happen. Her battle cry “Pwede pala! Kaya pala!” rallies ALKFI’s 300-strong employees to carry on the mission of being in service of the Filipino. Today at 61, GL remains passionate of the foundation’s advocacies. While technically retired, she chooses to be actively involved in promoting the foundation‘s eco tourism projects. She has likewise recently ventured into social entrepreneurship to help sustain the foundation, promote fair trade practices and provide livelihood opportunities in poor communities; which the foundation currently develops. Many recognize Clarissa Ocampo as the country’s most celebrated star witness in the 2000 Impeachment trial of then President Joseph Estrada who was charged with large scale corruption or plunder. She was the Senior Vice President and Trust Officer of Equitable Bank when she took the stand and calmly explained that she personally witnessed Erap signed “Jose Velarde” in the paperwork for a trust account. 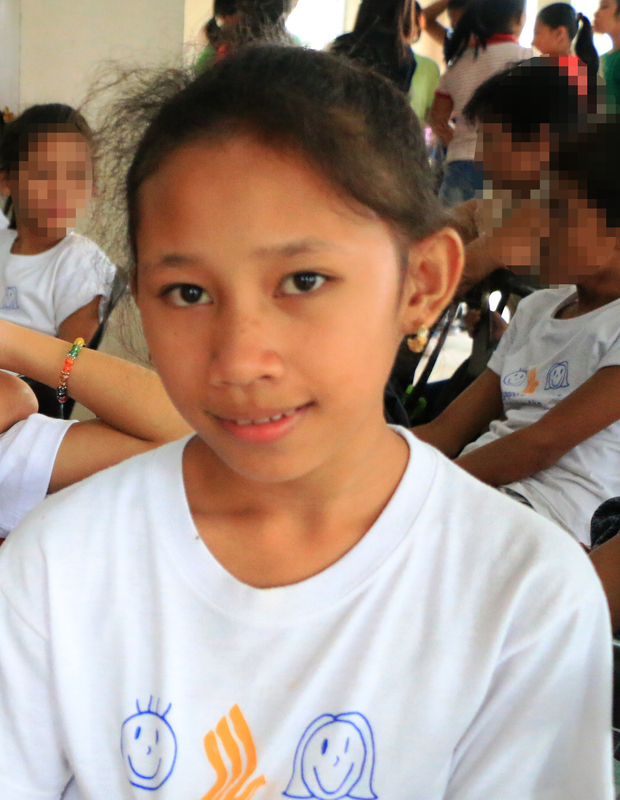 For telling the truth, Clarissa had to be put under protective custody throughout the trial. Various civil society groups subsequently honored her for her courage, integrity and service to the Filipino people. After more than three decades in the banking industry, Clarissa joined the ABS-CBN Foundation in 2011 as its Chief Finance Officer. She instituted many enhancements in the organization’s processes and systems; which are geared towards improving how the foundation manages its resources. In 2014, she was appointed as Managing Director. Now at the helm, Clarissa leads with the kind of leadership, which she describes as having the balance of heart and mind. While her discipline is Finance, her new role as MD necessitates being involved in Programs and all aspects of ALKFI operations. She prioritized collaboration, communication and teamwork and in her first year, was able to accomplish this goal. “My strength is fiscal management and governance. I want to take care of our donors because they have trusted us with funds, which should have otherwise gone to others. We need to ensure that the social investments they have made through the foundation are not wasted.” Clarissa believes that reporting to donors on the progress of projects is key to having a good relationship with major stakeholders. She spearheaded efforts to complete and submit pending reports and further delivered bi-monthly reports on ALKFI’s interventions in Yolanda-affected areas. She also took that lead in ensuring that ALKFI secures the necessary licenses from the (DSWD) Department of Social Welfare and Development and the maximum term of certification from the PCNC (Philippine Council for NGO Certification), an agency that certifies that a non-government organization meets the established criteria for financial management and accountability. Susan is a former District President of Robert Half, an American Human Resource Consulting firm. It is part of Fortune Magazine ‘s list of “World’s Most Admired Companies” U.S.- based for more than 30 years, Susan went back to the Philippines in 2014 to seek opportunities to give back to her home country. “ I have decided to take some time off to pursue other personal goals. I take with me Leadership California's tagline of "From Success to Significance" in my continuing journey to make positive differences wherever I go.” She joined Bantay Bata as a part time volunteer to help generate donations for its childcare services. As fate would have it, ALKFI was in the middle of reorganization and was in need of a Senior Sales and Marketing Strategist. Susan’s extensive experience in Strategic Planning, Sales & Marketing and Training made her the perfect candidate. She was appointed as ALKFI’s Chief Marketing Officer in May of the same year. Gifted with a Midas touch, Susan has generated in record time new partnerships and donation streams for the foundation. Her impeccable people skills made it possible for ALKFI to grow its pool of volunteers. 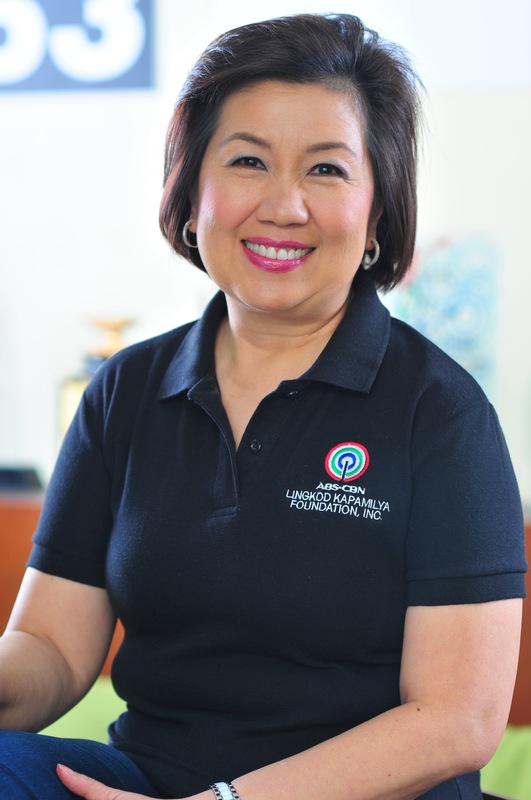 She has also found a new calling, serving as co-anchor of ALKFI’s family oriented radio program, Kapamilya Konek, a platform used to re connect families and provide them with information on financial literacy, parenting and livelihood opportunities among others. She is keen on further developing the program to cater to the needs of Filipinos overseas and their families, balikbayans and retirees. A Certified Public Accountant, Noemi started her career with the most prestigious auditing firm in the country – SGV. From there, she held various managerial and top level posts in Finance in several multinational companies which were market leaders in their respective industries. Prior to joining the Lopez Group in 2011 as CFO of Bayan Telecommunications, she was the Regional Controller for PAN-SEA and North Asia of a multinational plant biotechnology company. Noemi instituted initiatives that enhanced operating efficiencies, promoted customer orientation, and advanced people engagement and development. She is a valued partner of the Program Directors in maximizing their resources and donor reach. She also has been tireless in communicating the organization’s operating results and funds positions for timely intervention.